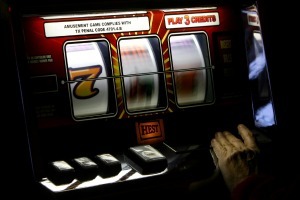 By W. Gardner Selby on Tuesday, May 3rd, 2011 at 11:18 a.m.
Do Texans spend $2.5 billion gambling in other states each year? Our readers’ favorite fact check last week proved to be Tyler state Rep. Leo Berman’s claim that the Honolulu hospital where President Barack Obama was born denied it was so. We also noted a campaign promise kept by Gov. Rick Perry and how much Texans gamble in neighboring states. The Texas Tribune reported that Berman, a Republican who has filed legislation to require presidential candidates on the Texas ballot to present their birth certificate to the secretary of state, "claims the hospital Obama lists on his birth certificate — in fact, all hospitals in Honolulu — have denied the president was born there." Berman later told us that two hospitals, including Kapiolani Medical Center For Women and Children, where Obama says he was born, have denied it. Asked where and when the hospitals made the denials, Berman replied, "In several places over the past year and a half," but provided no specifics. "Neither hospital recognized the fact that he was born there and not only that, but you would think that the hospital that gave birth to the president of the United States would have some kind of commemorative plaque or something," Berman said. We scoured news coverage, finding no record--not a single indication--that the hospital ever denied Obama’s birth there. Mindful Berman did not offer substantive backup, we judged his statement as worse than inaccurate--Pants on Fire. Perry vowed last year to draw down some $830 million in federal education aid without strings that had been attached by the then-Democratic-controlled U.S. House. This year, with help from Republicans in Washington, he succeeded. We marked this as a promise kept on the Perry-O-Meter. A banner web ad "thanking" Texans for annually spending $2.5 billion gambling in neighboring states also drew our attention. So much money wagered just outside Texas every year? The Austin consulting firm that came up with the estimate, TXP, walked us through the methodology behind its calculations of how much Texans gambled in Louisiana, Oklahoma and New Mexico in 2009. We settled on a more up-to-date estimate of about $2.1 billion--while noting that Texans might not gamble the same amount year after year. We rated the advertising statement Mostly True. Spot a claim meriting a second look? Write us at [email protected] . We’re also on Facebook and Twitter. — Texans for Economic Development, Tuesday, April 19th, 2011. "Gov. (Rick) Perry helped balance his budget with about $6 billion worth of federal help, which he happily took, and then started blaming the members of Congress who had offered that help." — Barack Obama, Monday, April 18th, 2011.